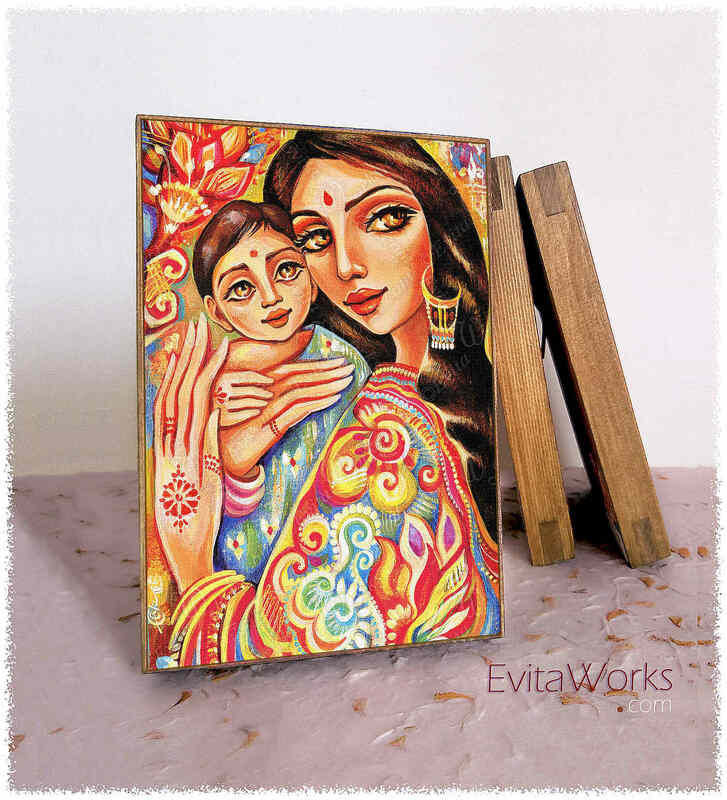 This item is based on our original painting, named “Goddess Blessing”. 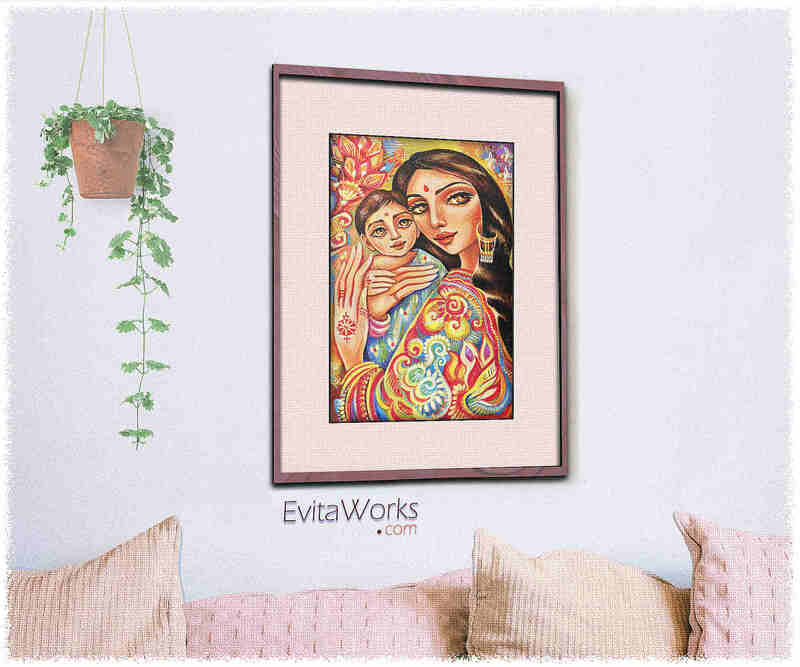 It depicts a beautiful mother and child in Indian garb with a blessing glance. 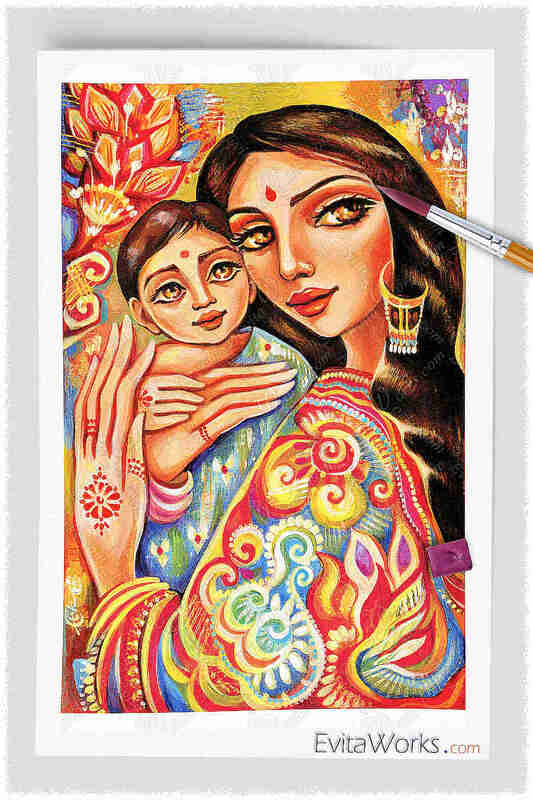 She’s in a colourful sari, bindi and henna marks, and jewelry, gently holding the infant in her arms. 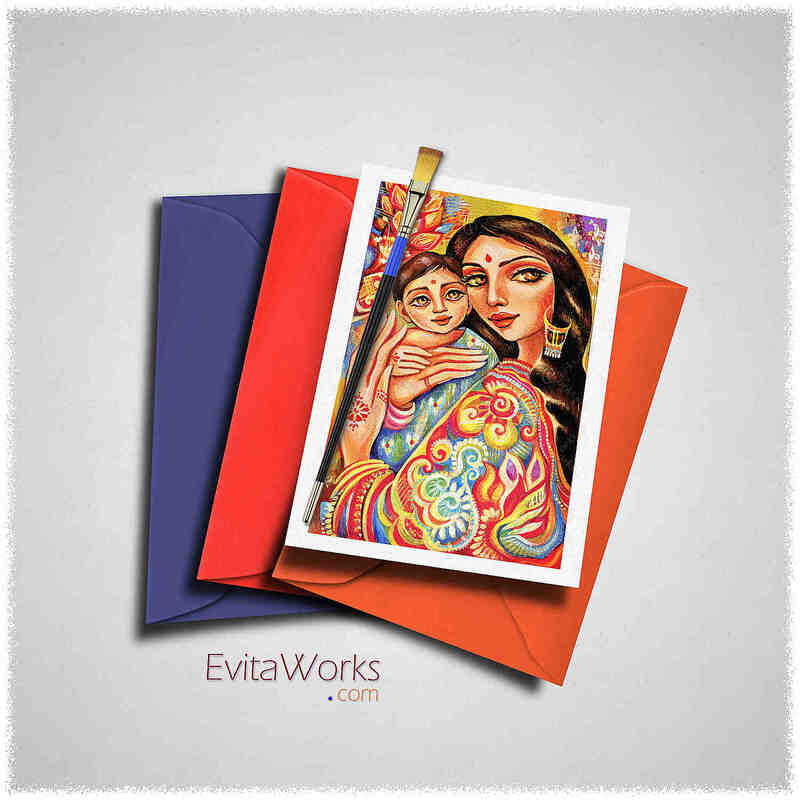 The original was painted with acrylic on canvas, in vivid color nuances of red, yellow, blue. Beautiful vibrant print. Would order from Eva again. 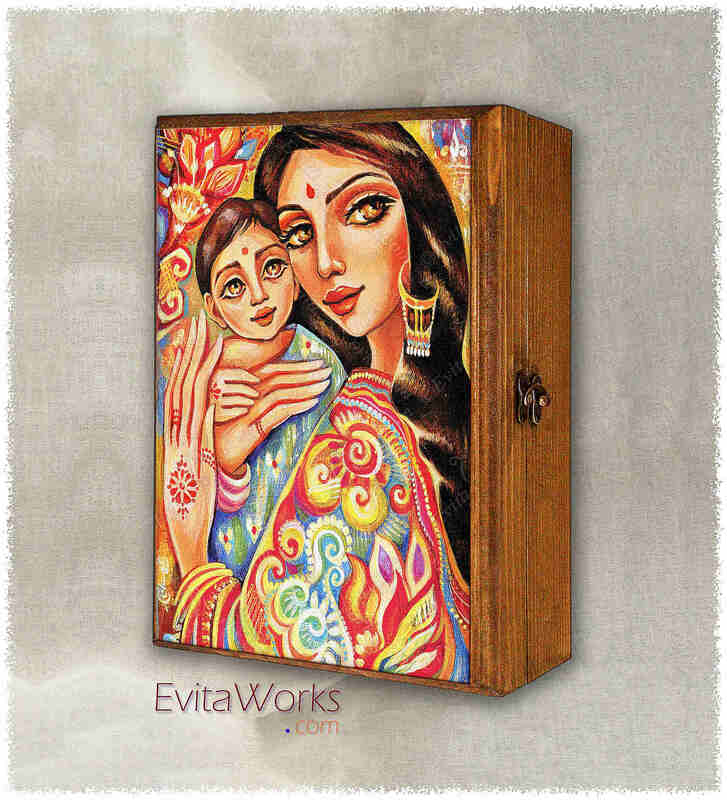 Gorgeous artwork, box seem delicate. 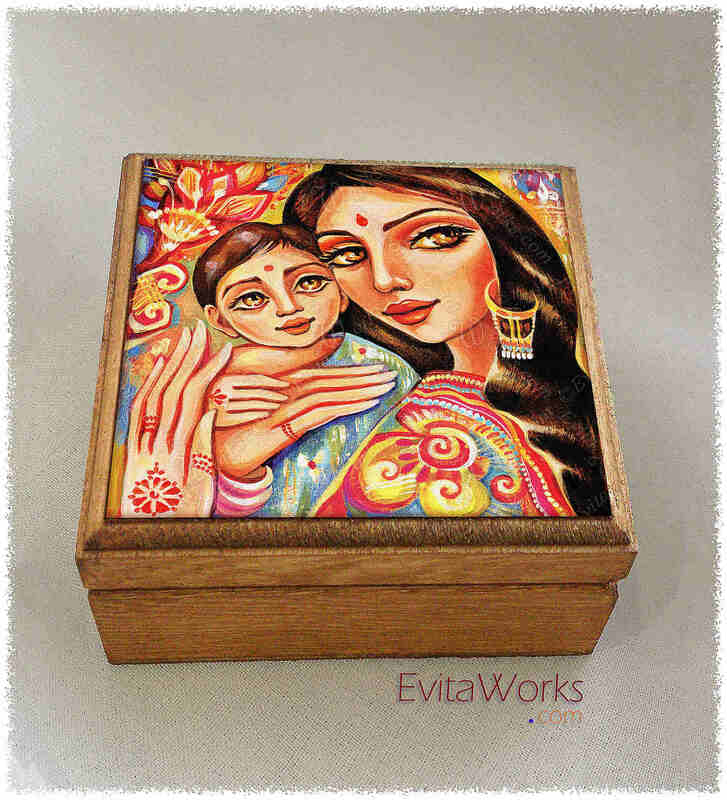 Perfect size for gifting jewelry.